Second Life (SL) was launched back in 2003 but hit an average of 62,000 concurrent users in May 2009. Later, their portfolio was extended in 2013 when then partnered with Blocksworld. 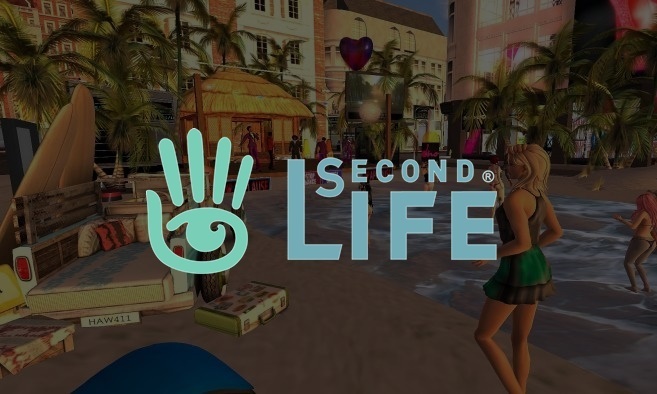 Many people have heard about Second Life, but most of them don’t know much about it. Here in this article there is a complete review of Second Life. Additionally there are number of second life events from which you can select and enters into the fun and interesting virtual world activities. What Is Second Life Market Place? The Second Life market place is a platform where the users can buy an assortment of virtual items which are sold by the other users. It has a proper fee and listing policies just like the real world, and the residents have to adhere to certain rules both to buy and sell products there. The residents of the virtual world can buy animals, animations, apparels, arts, audio and video. They can also purchase avatar accessories, avatar appearance, avatar components. They can buy objects, structures and objects of buildings that include objects of recreational activities, gardens, etc. Moreover they way of celebration, gadgets, used items, vehicles and weapons can also be bought. The residents can look forward to buying things through categories, maturity levels, and keywords. They can only name the merchants and stores from which they want to purchase the products from. The market place of Second Life also makes it easier for the residents to choose what they want to buy by featuring items and telling about the products that the other customers are buying. Each product comes with details about its features, content and the price. Also, they can check the reviews of the items that they are planning to buy. Are you now wondering how you can do your shopping in Second Life? How To Shop In Second Life Market Place? Shopping in Second Life market place is a bit different than shopping in real life. Follow the steps given below to make a successful purchase. Log in to your Second Life account by providing your details. Look for the items that you want to buy by going to the category where the product will be available. Also, you can directly search for the product name in the search box and also, you can check the featured list to see the items which the other residents are buying. Check the requirements before buying a particular product. The products available in the market place generally come under three categories: use it now, unpacking required and land required. Once, you are sure you are eligible to buy the product, you can either add it to the cart or directly buy it. Now click on ‘Buy now‘ to purchase the item by using the balance of your Linden dollar (Linden Dollar is the virtual currency used in Second Life). You can select your payment method while making the payment. There are many alternative payment methods like credit card and PayPal. After you have made the payment, you will be able to view the product in the ‘Received Items Folder’. Now you can use this product to beautify and enhance your virtual world in Second Life. Don’t forget to write a review after you have used the product to help the other residents. How To Sell In Second Life Market Place? You can also become a merchant in Second Life. Follow the steps given below to sell your products in the SL market place. Create a store by going to the Marketplace page where you have to click on ‘My Marketplace‘ placed on the upper-right section of the screen. Now click on ‘Create a Store‘. Read the ‘Marketplace Terms of Service‘ and after reading it thoroughly click tick the box that says ‘I agree to the SL Marketplace fee and listing policies‘. Click on Continue. Close and then open the Second Life Viewer in your browser. Wait for the store to get five days older and also, check whether you have received payment information in your file. Update your items in the market place. Now if someone makes any purchase, the product will be automatically delivered to them. You will then get the price of your product. Doesn’t Second Life sound so incredible and interesting? If you want to move away a bit from the real world, then the Second Life provides you the perfect platform to chill. You can create your virtual world. You can both spend and make money here. Muhammad Usman Siddiqui is a young entrepreneur from Pakistan and CEO @ MUS Tips. His studies (Petroleum Engineering) has no relation to business but the passion keeps him in this field.